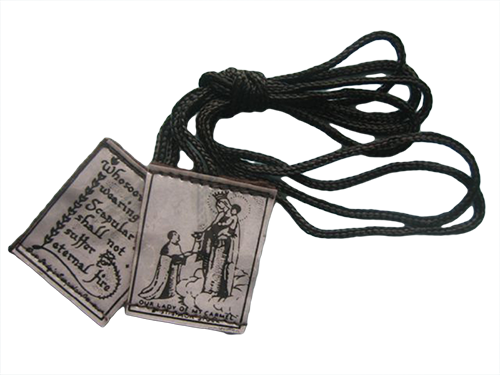 The Brown Scapular consists of two small pieces of brown cloth , joined by string and worn over the shoulders, front and back. It was first made known by Our Lady Herself, July 16th 1251, to St. Simon Stock, Vicar General of the Carmelite order. The Scapulars we supply are made from 100% pure woven wool and last for many years.We post our Brown Scapulars Worldwide. 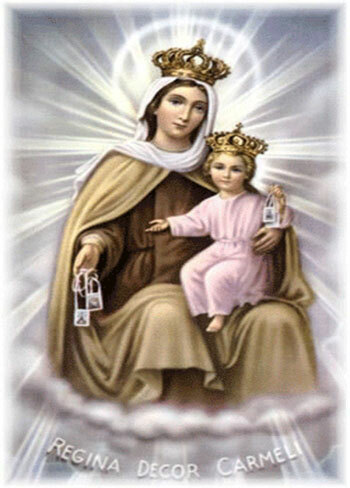 “I too have worn the Scapular of Carmel over my heart for a long time! Out of my love for our common heavenly Mother, whose protection I constantly experience”. Pope John Paul II Vatican City, 25 March 2001. 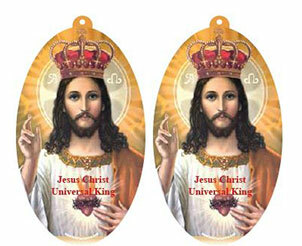 We post our Brown Scapulars Worldwide FREE of charge. There is no postage cost for any of our items. 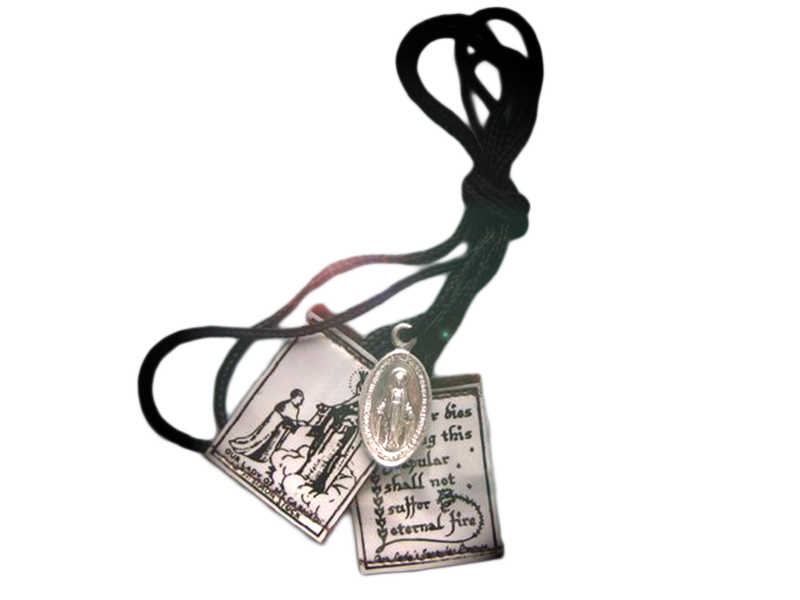 Scapular explanatory 3 pages leaflets are supplied explaining all about the Scapular. 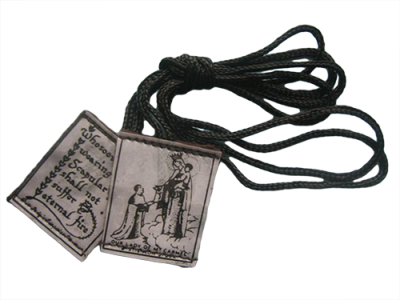 The Scapular itself is made from 100% pure woven brown wool. Free Post On All Orders to anywhere in the world. That’s right! All of our products are sent out free of charge to anywhere in the world. 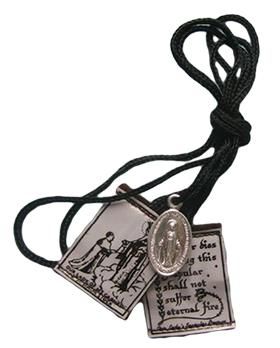 If you would like to order the Brown Scapular for your friends or family please click the “Buy Now” button. 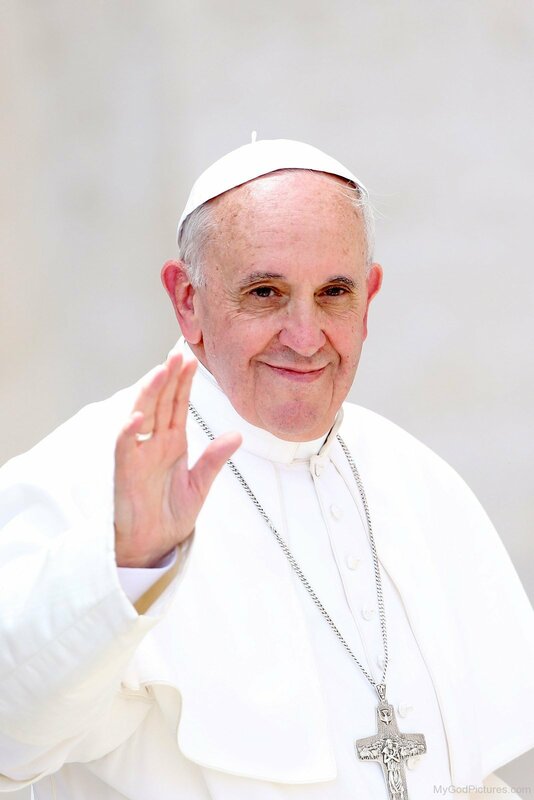 We post Brown Scapulars Worldwide . We post our Golden Chain Worldwide FREE of charge. There is no postage cost for any of our items. 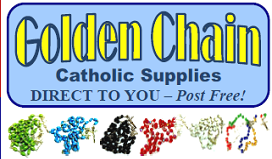 Rosary Beads in glass and lustre in – green, blue, black, red, white and a 5 colour one @ €2.50 inc Rosary leaflet & postage. That’s right! All of our products are sent out free of charge to anywhere in the world. If you would like to order the a Golden Chain for your friends or family please click the “Buy Now” button. O my God, in union with the Immaculate Heart of Mary, (here kiss your Brown Scapular) I offer Thee the Precious Blood of Jesus from all the altars throughout the world, joining with It the offering of my every thought, word and action of this day. O my Jesus, I desire today to gain every indulgence and merit I can and I offer them, together with myself, to Mary Immaculate Queen that She may best apply them to the interests of Thy Most Sacred Heart. Precious Blood of Jesus, Save us, Immaculate Heart of Mary, Pray for us, Sacred Heart of Jesus, Have mercy on us.